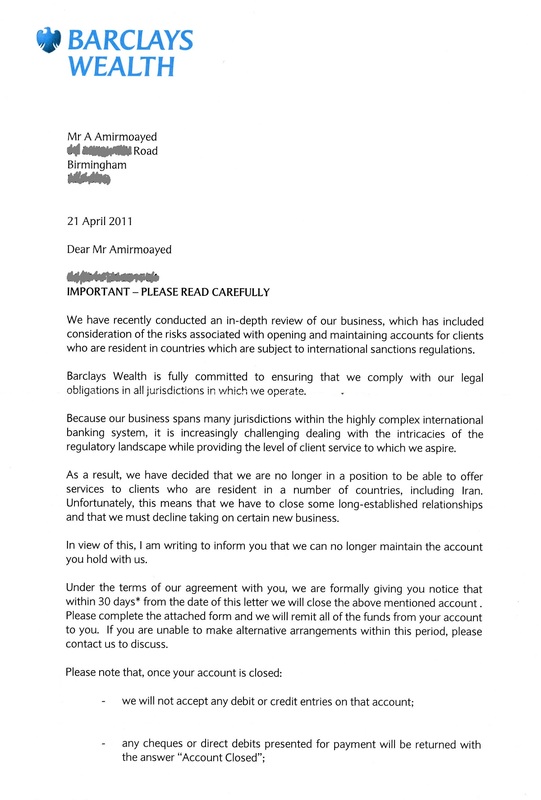 It was in 2011 that Barclays Wealth, the bank in which I had an account for four years, sent me a letter saying that it had considered the risk associated with maintaining accounts for customers of countries subject to international sanction regulations; consequently, it was unable to offer services to clients from a number of countries, including Iran (see their letter below). 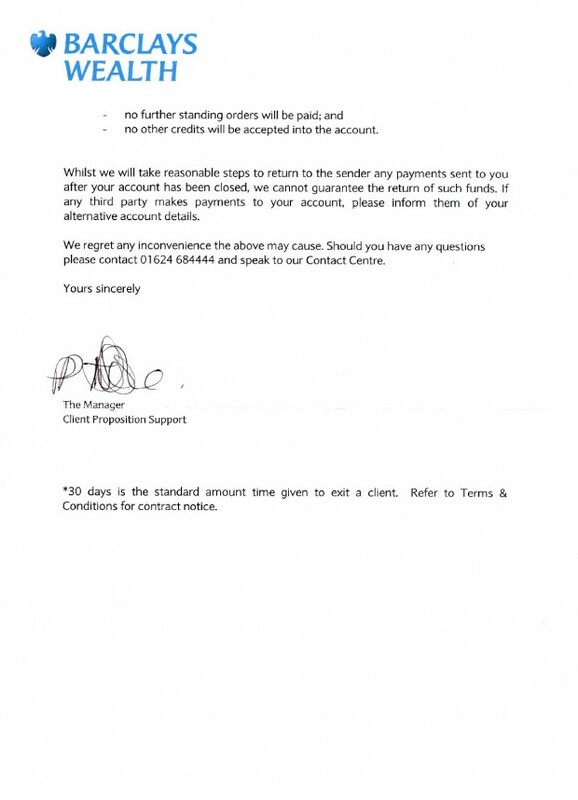 Barclays then closed my account and all other accounts held by nationals of Iran. Recently the TD Bank of Canada has followed the same course and closed all bank accounts of customers of Iranian origin, even those with Canadian citizenship (see BBC report here). For the British Barclays and the Canadian TD bank, our collective fault was to have been born in Iran. I am of course not complaining about losing a student account with such a bank, I just want to mention how Western sanctions on Iran have undermined the daily life of ordinary Iranians, even those thousands of miles away from the country.